When most people think about the weather in Texas, they think about the heat. And, of course, Texas can certainly roast in the summer. However, that heat does not last all year. During the winter months, some rather cool – and even downright cold – weather can settle into the area. Those who have lived in Rowlett and the surrounding areas for very long can speak to just how cold it can get from time to time. To make sure your home remains comfortable even during those cold snaps, you will want to provide your furnace with the care it needs. 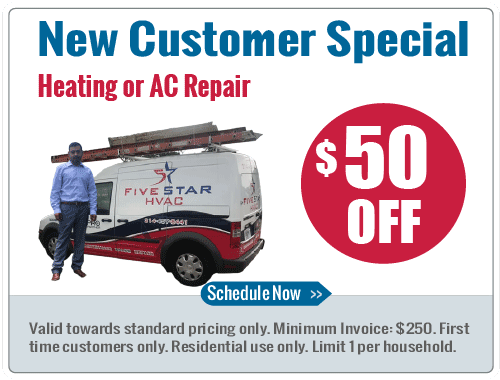 For professional assistance, you can turn to the pros at 5 Star HVAC Contractors. We provide the residents of the Rowlett area with a long list of furnace repair and installation services. Our reputation is strong in this community, we offer a 1-year satisfaction guarantee, and we have an A+ BBB rating. Call our office today for furnace help! As the sun goes down on a cool winter day, you expect your furnace to kick on and take the chill out of your house. But what if it doesn’t? You could be looking at a long, cold night ahead. This is where the team at 5 Star HVAC Contractors can come to the rescue. 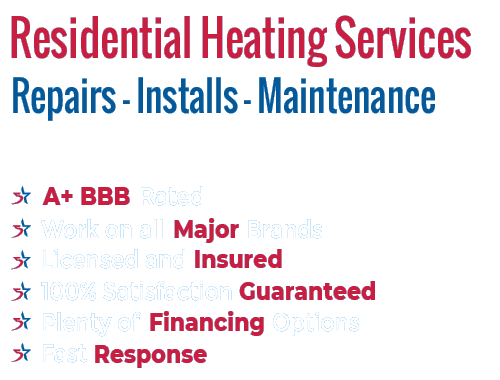 Our heater repair services are fairly priced, efficient, and reliable. We will get your furnace back up and running as quickly as possible. With the Texas climate what it is, you probably don’t use your furnace as frequently as your air conditioner. That means you might not notice when its performance starts to decline – until one day it stops working altogether. Do your best to pay attention to anything that might seem a bit ‘off’ about your heater, and call 5 Star when you need assistance. If you don’t currently have a furnace in your home, or if you are moving into a new home and you need to have a furnace installed, 5 Star would be happy to handle the work. We have installed countless heaters for customers throughout the region, and this is a job that we can complete in a timely manner without any trouble. Our rates are highly competitive for installation and replacement, and our customer service is second-to-none. Since you do only use your furnace for a portion of the year in Texas, it is easy to forget about it once the warm weather returns. That is fine, but it is a good idea to provide this unit with some attention before you start to rely on it once again to keep your home warm during those cold winter nights. The preventative maintenance services offered by 5 Star will allow you to have confidence that your furnace is going to be able to make it through the winter without a problem. If you aren’t sure what kind of maintenance should be performed on your furnace, or how often it should be completed, simply give us a call for help. Our team will be happy to help you plan out a schedule that fits your needs nicely. Should your heater happen to go down at just the wrong time, turning to our emergency heater repair services for help is a smart decision. You don’t want to have to suffer through cold nights and chilly days without functioning furnace to take the edge off. We are available at all hours of the day, and every day of the year, for emergency furnace repairs. Our team doesn’t want you to be stuck in the cold, so we’ll answer the call and have you back up and running as soon as possible. 5 Star HVAC Contractors would love to be your service team of choice for all furnace installation and repair projects. We have many years of experience in this line of work, and we have a long list of satisfied customers located throughout the Rowlett area. Thank you for considering our services, and we hope to speak with you soon!